Überlassen sie das Leiden Deinen Gegnern. Das Endurance4000 FX Bike Pad ist anatomisch geformt und passt sich perfekt der männlichen Anatomie an. So werden druckempfindliche Blutgefäße und Nerven entlastet. Dabei ist das Polster nicht wie bei konventionellen Radhosen einfach nur aufgenäht. X-BIONIC® spart das Sitzpolster bei der Hosenfertigung aus und näht es anschließend von Hand ein, sodass die Passform und Elastizität des Polsters nicht durch den Stoff der Hose beeinträchtigt wird. Dies garantiert nie erlebte Passform und Komfort. The Endurance4000 FX Bike Pad is anatomically formed and fits the male anatomy perfectly. With it, pressure is removed from sensitive capillaries and nerves. It is not simply sewn onto the pant as traditional bike pads are. 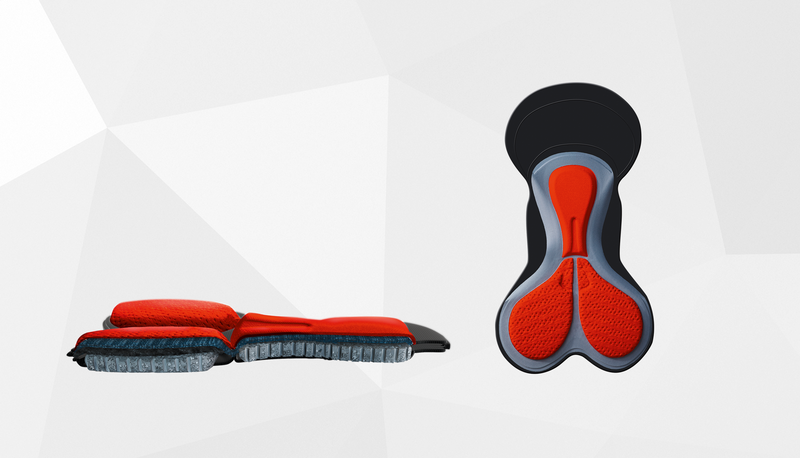 Instead, X­-BIONIC® leaves off the chamois during the manufacturing of the pants and then sews it in separately by hand so the fit and elasticity of the pad is not affected by the pant material. This guarantees fit and comfort never before experienced. The Endurance4000 FX Bike Pad is anatomically formed and fits the male anatomy perfectly.